We are a leading manufacturer and stockist of a comprehensive range of Washer. 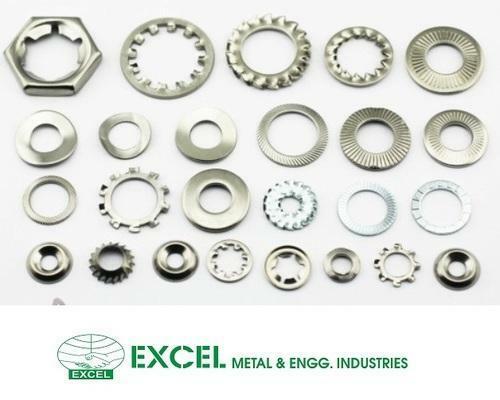 These products are available in different stainless steel grades like 202, 304, 316, 304 L, 316 L, 321, 310, 347, 410, 420, 904 L. Further, we offer EN-8, EN-9, EN-19, 4140, EN-24, brass and copper. These products are known for their features like corrosion resistance, durability, dimensional accuracy and perfect finish. Our products are in line with the global quality standards. Our organization is well recognized manufacturer, exporter, supplier, distributor and trader of super quality Products like Stainless steel, Carbon Steel, Alloy Steel & Tool Steel, Nickel Alloy, Mild Steel, Monel - Inconel - Titanium - Hastelloy Incoloy, Microwave Guides Straight Section, Non Ferrous Metal etc. We are supported by a splendid unit that is equipped with ultra modern technology machinery. Our employees use the best quality materials in manufacturing these products excellently ensemble the speckled requirements of the clients. We also check the quality of the products on various considerations to ensure the perfect range to our clients.